The Commission under MinRegion has, in general, already approved 2052 infrastructure projects of 571 amalgamated hromadas for a total amount of UAH 1.66 billion. Thus, UAH 240 million of subvention funds remain unallocated. 94 AHs still do not have projects, approved by the Commission (LIST). All AHs of the Donetsk, Zakarpattia, Luhansk, Poltava, Kharkiv, Khmelnytskyi,Cherkasy and the Kyiv Oblasts have already approved projects for the total or almost total sum of the subvention. 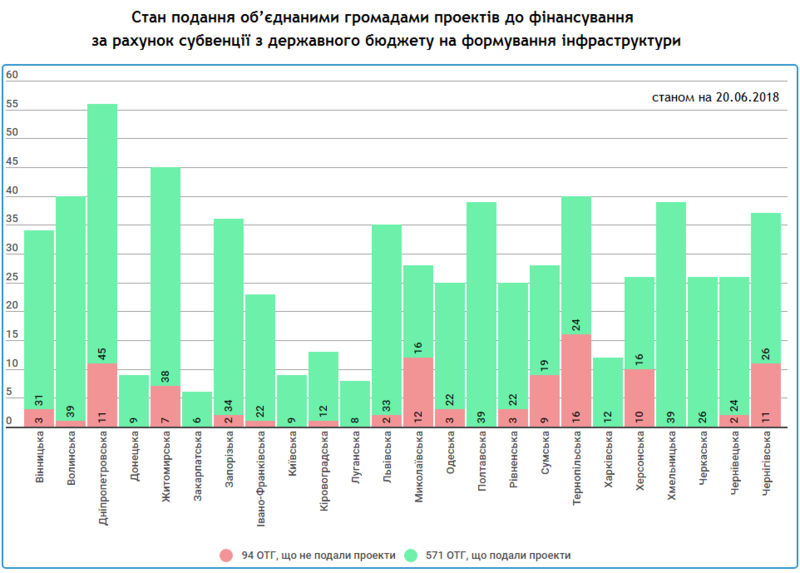 The largest number of hromadas that do not have projects approved by the Commission are located in the Ternopil (16) Mykolayiv (12) Dnipropetrovsk and Chernihiv (11 in each), and the Kherson (10) Oblasts. The deadline for submitting such projects to the Commission is already in June. In should be reminded that the state provides support to AHs, in particular, in terms of restoring and developing the infrastructure of their territories. 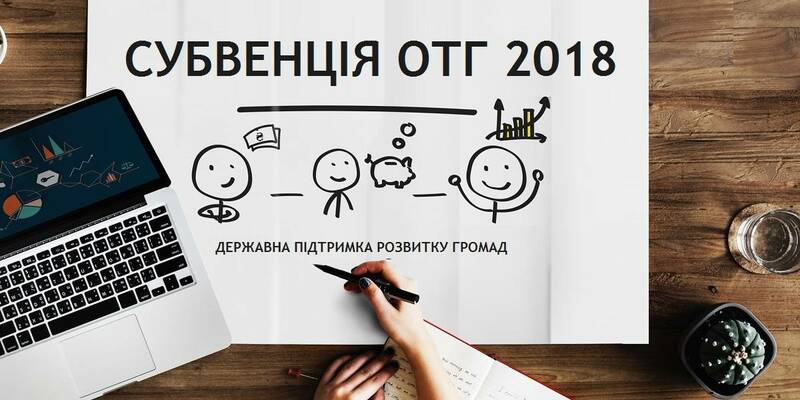 For this purpose, the State Budget-2018 provided UAH 1.9 billion. These funds will be targeted at infrastructure development of 665 AHs, established in 2015-2017. Allocation of the subvention from the state budget to local budgets for the formation of AH infrastructure in 2018 was regulated by the resolution of the Cabinet of Ministers of Ukraine No 201 dated 4 April 2018.